While growing coffee has been a major part of the economy of Pereira and the surrounding coffee region, drinking one of Colombia’s most iconic export products is only just kicking in. For years we have all had these beautiful dreams of what a perfect cup of coffee should be. It’s rich, fresh, the right aroma and beautiful in presentation. We are enchanted with memories of the old Juan Valdez publicity which showed a campesino merrily hauling coffee on his burro. What we are never told is that many of the same people who grow, cure and export coffee too often previously have had no educated appreciation of the intricacies of what they do. And, it’s not their fault, it’s not just a very cultural quirk that Colombians traditionally have simple and even humble tastes when it comes to coffee. In fact, the high coffee demand, commercial agriculture corporations, and chain-of-production abuses have even helped to keep the fabled coffee producers and consumers in the dark. Now, the entire game has changed. Not only are coffee pickers demanding more rights, but also the landowners and local cafés are starting to take a much more intimate role in the production process. The local culture is starting to change and the people are becoming more educated about the value of their heritage. Here in the Coffee Axis, high quality coffee and coffee culture is a game changer which should be making headlines in a world overrun by economic tragedy. We spoke to some coffee-relevant locals in an attempt to clear the air about the evolution of Colombian coffee culture. Here is what we learned. All over Pereira and the greater coffee axis coffee is loved and appreciated. Drinking coffee is a very cultural activity. Every day men and women walk the streets selling coffee and chocolate in a cart loaded with a thermos and some bread or pastries to offer along with it. Many families drink chocolate for breakfast and coffee mid-morning or after lunch. In all the major plazas of the coffee axis there is usually a jeep with a roaster, a grinder and the traditional stove pipe coffee machine. In the countryside, coffee is either grown or purchased from neighbors, roasted in a pot, ground, and then used to make coffee by boiling the grounds in agua panela (sugar cane water) and then pouring off the top. This traditional coffee prep does not discriminate when it comes to type of coffee used. The traditional coffee drank by the average Colombian is made from pasilla. Pasilla is the moldy, overcooked, or shriveled leftovers from commercial coffee production. The taste is acidic and its production is high in chemicals from both pest control and fertilization. Much of the soil where coffee is grown today has also become heavily depleted due to monoculture and industrial agriculture applications. Hugo Monsalve is the owner/operator of a traditional “nice” coffee shop named “Me Latte” in the city center of Pereira. He describes his experience buying and owning a coffee shop: “We liked the business, so when an opportunity came to buy this shop from someone we knew, we did. Our coffee comes from a small farm in the nearby municipality of Dosquebradas. There are now very small but expanding pockets of special, high-end coffee preparations. 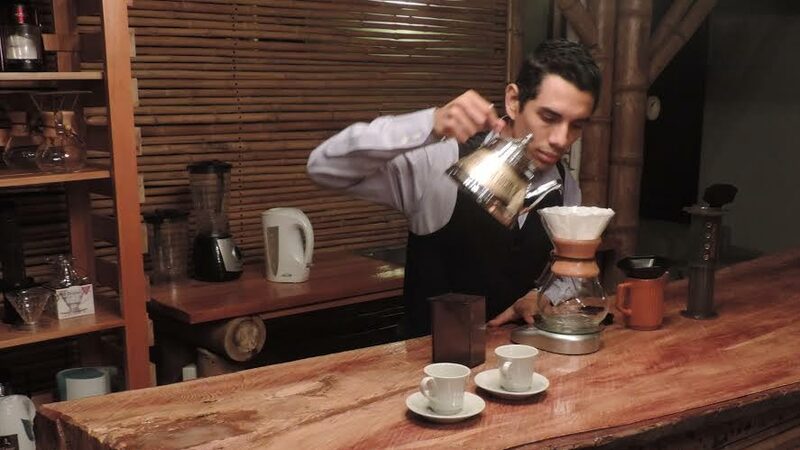 In Manizales, coffee culture is steadily growing in places like Santo Kaffetto, where visitors can experience a special coffee museum and coffee tour which explains all the different processing techniques and preparations. As part of the coffee tour, customers can learn about the aroma and taste experience of slow pour. In Pereira, there is an even bigger growth happening as the city now offers 3 cafes which are educating customers and offering special preparations. Cafetalex is one of the café’s which weighed in on the evolution of Coffee Culture. They have focused on having trained baristas and high quality machine and techniques in order to offer something special. 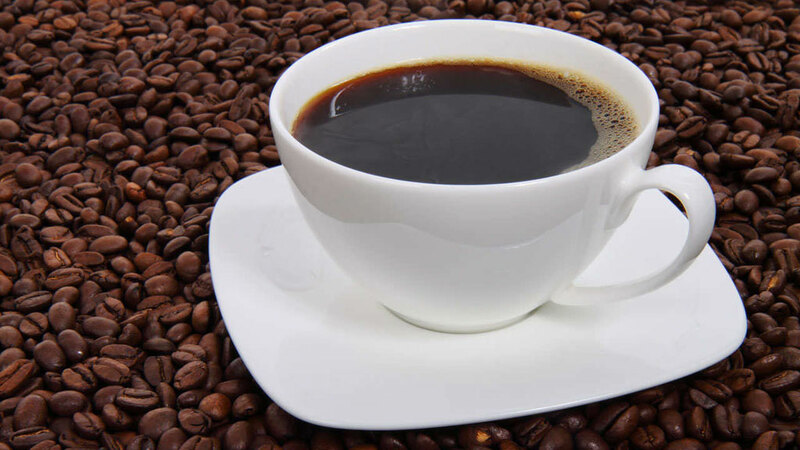 Dona Amparo Corales weighed in on the topic of coffee evolution. Locals are beginning to see the coffee culture in places like Medellin, Bogota and even Manizales, and are bringing this home with them. This is slowly opening a new type of coffee brand which we have called “la tercero ola,” or the 3rd wave. Third wave coffee is where the younger generation, or the children of coffee producers are going and learning about fine coffee. Thanks to this 3rd wave coffee culture, there is an awakening happening among consumers and local government. The chamber of commerce has implemented special programs where they are looking to support and grow this economic opportunity. My goal as a coffee barista is not just to be behind a bar. I am always learning, looking for new ideas and trying to find needs which can be filled. Today I will prepare a coffee to share with you, but tomorrow you will prepare a coffee to share and evaluate with me. In this way I will bring the experience to a new level which is more personalized and unique. Coffee culture is a huge opportunity in the future of Colombia which has also caught the eye of many expats who have come and bought their own coffee farms or started their own café’s. Jorn Ludvigson is no exception. Originally from Denmark, he came to Pereira and opened a high end Euro-Lux Hotel named El Lugar Hotel Boutique, which also features their own special brand of premium café which is carefully sourced from a local farm. Without a doubt coffee has undergone a lot of changes and will continue to change. From French Press to Slow Pour and V60, there are now more ways than ever to appreciate it. There is a very hopeful and excited feeling among the coffee people from the farm to the point of sale. Opportunity and change seems to be coming to the smaller cities of Colombia, and it’s an exciting time for visitors and residents as the evolution of coffee really starts to kick into gear. Author Erin Donaldson is owner of The Pereira City Guide.